"La Sebastiana", as was called by Pablo Neruda, 1971 Nobel Prize for Literature, was one of the three houses owned by the famous bard. 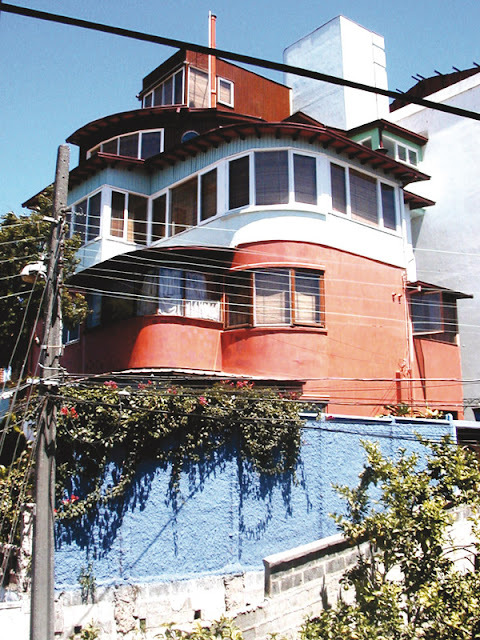 Neruda called this house "La Sebastiana" in honor of its first owner and builder, the Spaniard Sebastian Collado. To be precise, La Sebastiana is located at 692 of Ricardo Ferrari St., Cerro Florida (Florida Hill) of Valparaiso, featuring a privileged view of the bay and the ocean, Neruda's obsession since childhood. Declared a National Monument in January 2012, currently this house of the poet as well as those of Santiago and Isla Negra, function as museums, run by the Neruda Foundation. The poet's death occurred in September 1973, on the same date that the military coup in Chile, then the house suffered great damage by the raids. However, in 1991 La Sebastiana was restored with the support of the "Telefónica" Company of Spain and on January 1, 1992 it opened its doors to the public as a House-Museum. You can see collections of ancient maps, seascapes and various paintings, including a portrait of Lord Thomas Cochrane, British Naval Officer and Naval hero in Chile, of which Neruda was an admirer, an oil painting showing José Miguel Carrera, (one of the fathers of the country of Chile) shortly before being shot. There are many other relics of marine character and curious pieces such as music boxes and an old wood carved carousel horse, located in a circular room so that the horse feels like into a carousel. The rooms feature large windows, as Neruda loved the sea view. Visiting Hours: January and February, Tuesday to Sunday from 10.30 to 18.50 Hrs. March to December, Tuesday to Sunday from 10.10 to 18.00 Hrs.